Our best budget laptop for under £500 - is it for you? 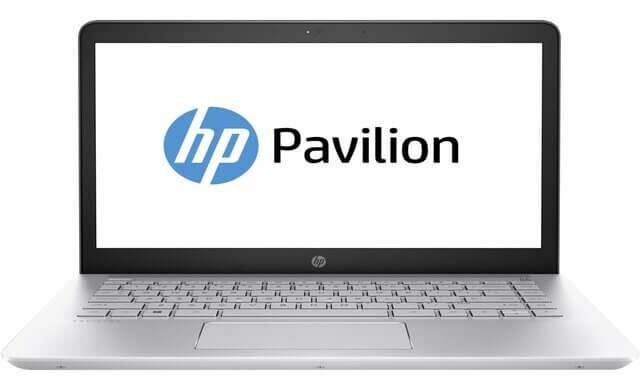 The HP Pavilion 14-bk052sa is a great everyday 14” Notebook and our best value laptop for under £500. This is a speedy machine thanks to some impressive specs like its seventh generation Intel i3 processor and 8GB of RAM – and the battery lasts all day. Of course, you probably know you’ll need to pay more for a fancy screen and heavy bass audio. But this is an ideal budget laptop for small business use – it’s perfect for all your email, Word, Excel and web browsing needs (and perhaps the odd bit of play). Simply put, the HP Pavilion 14-bk052sa is a speedy little machine. Thanks to the seventh generation Intel i3 processor, 8GB of RAM (random-access memory) and a generous SSD (solid-state storage device), it boots up in just 8 seconds and programmes open in a flash. The keyboard is user-friendly and responsive, with the keys well spaced. The mouse pad is reliable and – we found this comes in as smooth as you can expect for a budget model. Plus, there aren’t so many quality 14-inch laptops for under £500 and small business owners tend to find this an ideal size for everyday work. 10 hours’ battery life is amazing for this price tag – you’ll be able to focus on your work (not where the nearest plug socket is). This is a top choice if you take your laptop out and about or like to move around your office space. This HP Pavilion laptop screen is less reflective than most, but the graphics card is really designed for general office work rather than heavy duty creative needs. That said, for graphic-intense design work, you may struggle for under £500. The sound is impressive for this price range – don’t expect a booming bass or surround sound quality, but for professional use you shouldn’t have any complaints. The HP Pavilion 14-bk052sa is an excellent budget laptop for small business owners. As long as you’re not a graphic designer, the fast processor and hard-to-beat battery life are ideal for everyday professional use.